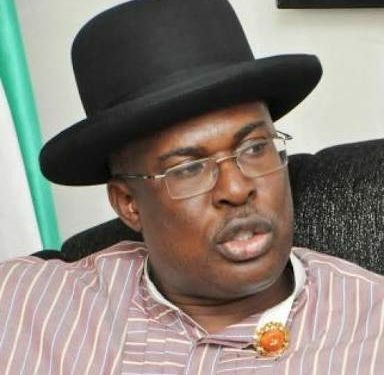 The Bayelsa State Government on Sunday reacted to a claim by the Timipre Sylva Media Office that Governor Henry Seriake Dickson was planning a campaign of calumny against the former governor, describing it as a futile attempt to distract the government. The Special Adviser to the Governor on Public Affairs, Mr. Daniel Alabrah, said in a press release that Governor Dickson was too busy executing the mandate of the people of Bayelsa to join issues with politicians that have failed the state and the Ijaw nation. The statement advised Sylva to stop using the name of the President to cover up his criminal activities in Bayelsa. Dickson said that being in the ruling All Progressives Congress (APC) should not be a license for Sylva to sponsor criminal activities to the detriment of peace and security in the state. The governor called on the security agencies to be firm in the performance of their statutory duties and not allow unscrupulous politicians to take advantage of them. “Since Sylva became a member of the APC, the party had become a gang of cultists, hooligans and criminals in the state. He should be concerned that Brass, his local government area, had become a den of criminals,” he said. Dickson warned that he would not hesitate to invoke the powers of the law against anybody found to be involved in acts harmful to the security of the state because he had a duty to protect lives and property in Bayelsa. According to him, Sylva was only out to create the false impression that he is a factor in Bayelsa politics, which is untrue. He advised him to give attention to his dwindling political reputation rather than peddling falsehood to misinform the people. He said politicians playing politics with the security of the state with the tendency to drop the name of the President for the purpose of intimidating innocent persons should not be encouraged. “This is a government that has a mandate to execute on behalf of the Bayelsa people. We cannot afford to be distracted by falsehood emanating from Sylva and his men. “Sylva should stop encouraging criminality in Bayelsa. He should support stability and development of his state. We have worked hard to address the insecurity and underdevelopment that Sylva left behind. “He is not even concerned that his local government area, Brass, has become a den for criminality. He should stop using the name of the President to intimidate security agencies to cover up his criminal activities. “Also, he has no status to intimidate anybody as he has no following. He is a failed politician. We know what he is doing by spreading fake propaganda to create the wrong impression that he is on ground. That was what he did when he created the mayhem during the last election. “I call on security agencies not to allow themselves to be used by charlatans. I also want to make it very clear that we will not hesitate in invoking the law against anybody who consistently undermine security of the state. The statement added that Sylva, who sought to be governor twice and was twice was rejected by Bayelsans, cannot be pulled down by Dickson because he is already down.